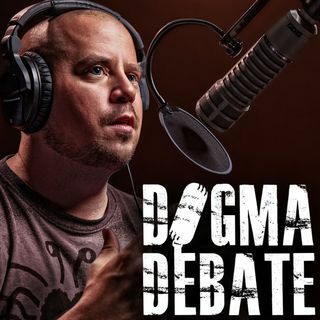 This is the 3rd show in a row where Smalley (and Atheism) is exposed for the fallacious arguments and false narratives used against God and Christianity. Just like last episode's guest, John does a great job pointing out Smalley's tactics in creating an antithetical case about God, the Bible, believers and the Christian faith. It's obvious that Smalley is losing his footing with each "sigh" into the microphone. Which, by the way, I understand this sighing thing he does is supposed to his "signature" move. Really? How silly and puerile! How can anyone take this guy and his gig seriously? But at the end of the day, Smalley is so undone and exposed that he abruptly ends the show. But, honestly, it was the only way he was going to get out of the corner he was backed into. Once I was able to ignore all the unprofessional and annoying "sighs", I thoroughly enjoyed listening to this episode. 3rd one in a row!